Home 2016 Will Fox Business Debate Moderators Get it Right? 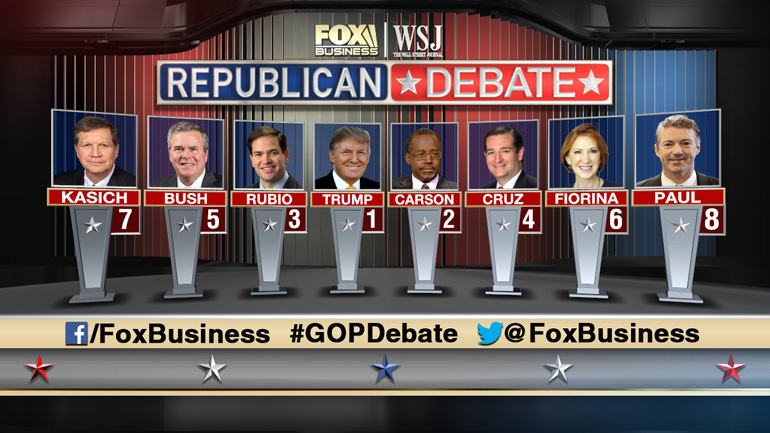 Will Fox Business Debate Moderators Get it Right? There has been a lot of positioning by moderators of Tuesday night’s Fox Business Republican Debate to be the “anti-CNBC” debate. The major issues with the last Republican debate, hosted by CNBC, were complaints about the way moderators stole the show and became argumentative with candidates instead of objective questioners. After days of piling on by competitors and some media personalities against CNBC, Tuesday will be the day that the next debate moderators must put their posturing where their mouth is. While the Republican debates have famously been a free-for-all this election season, there is at least one informal rule networks are now following: Don’t be CNBC. On the heels of the widely criticized debate in late October, CNBC’s competitors are already doing their part to distance themselves from the “soap opera” that unfolded when moderators asked what some believed were questions meant to provoke drama. On Tuesday, it will be up to Fox Business News’ Neil Cavuto and Maria Bartiromo to conduct the candidates in the follow-up performance. “My goal is to make myself invisible. That I’m not the issue…That we’re not the issue. The answers to what we’re raising become the issue,” Cavuto has said. Both he and Bartiromo previously worked for CNBC before they jumped ship for Fox. In response to CNBC’s question controversy, Cavuto and Bartiromo both agreed to do their research and stick to economic and business topics. “We’re business journalists. We’re nerds, we should embrace who we are, we want to stick to these subjects,” Cavuto told Politico. Additionally, in order to address complaints about the large difference between candidates’ allotted speaking times, the network will keep track of how long each candidate has spoken, and loop them back into the conversation if they’re not getting their due, FBN said. Most of the moderators selected to host these debates are actually TV journalists who spend their entire day interviewing guests and arguing over political topics. When they get in front of the camera as a debate moderator, they’re often unable to detach their day job from the task of eliciting information from candidates. Rather than arguing with them in a talk-show type format, debate moderators should remain more impartial and less involved in the back-and-forth discussion. In the case of the CNBC debate, much of the dialog looked like a contentious interview rather than a debate. The Fox Business hosts are setting the bar high, especially with Neil Cavuto claiming that his goal is to be “invisible” as a debate moderator. I’m hoping that ends up being the case and the candidates take the majority of the talk time rather than moderators. 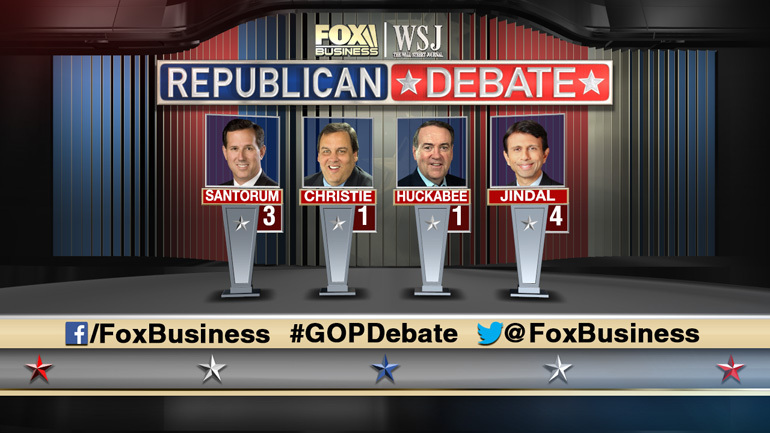 This debate airs Tuesday night on the Fox Business Network at 9pm ET, 6pm PT. There will be an undercard debate earlier in the evening at 7pm ET, 4pm PT. We’ll have more details Tuesday morning about live stream links and all the pertinent details you’ll need. Nate Ashworth is the Founder and Editor-In-Chief of Election Central. He's been blogging elections and politics for almost a decade. He started covering the 2008 Presidential Election which turned into a full-time political blog in 2012 and 2016. Meanwhile, the candidates will want to show that they’re not actually being petty and puerile, so they will praise the moderators. Because of that, I’d be willing to bet that there will be NO complaints, regardless of what is asked. Neil Cavuto has my utmost respect. After all, he was the only one to keep inviting Ron Paul to his show, when all the rest seem to have conspired to keep a black-out on Ron Paul in 2012! Hopefully, Rand Paul will get to shine this time — if not, we are in for a lot of hurt, if this Last Libertarian is ousted from saving our SICK NATION! Well, there’s always Jesse Ventura. . . Personality Politics: Forget the Issues in 2020? Enter your email address to get the latest 2020 Election news sent instantly to your inbox! How Do I Get 2020 Debate Tickets? Who's Running For President in 2020? Election Central provides nonpartisan news, op-eds, and information following the 2020 Presidential Election including primaries, debates, and state-by-state voting resources.